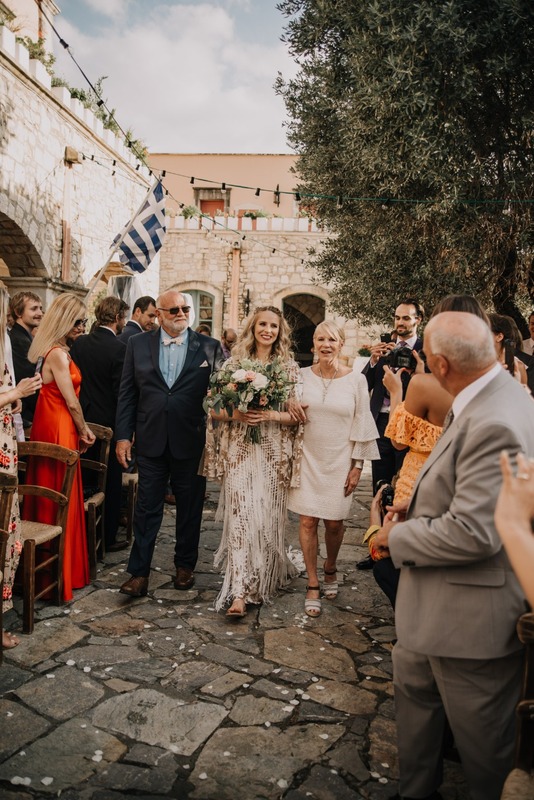 Aleco & Alyssa celebrated their marriage in absolute style on the picturesque island of Crete in Greece. 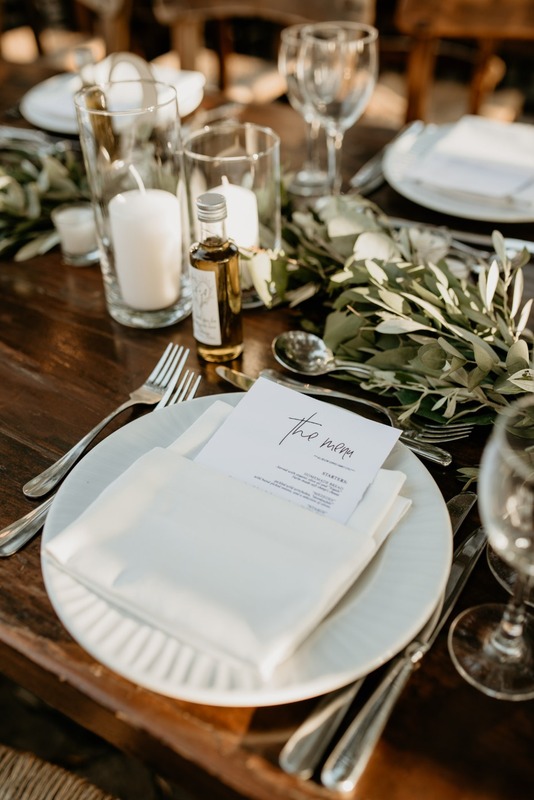 Their shared passion for nature and rustic everything was the focal point for their overall wedding design, but they didn’t need to add much to their gorgeous estate venue with sweeping views all around. 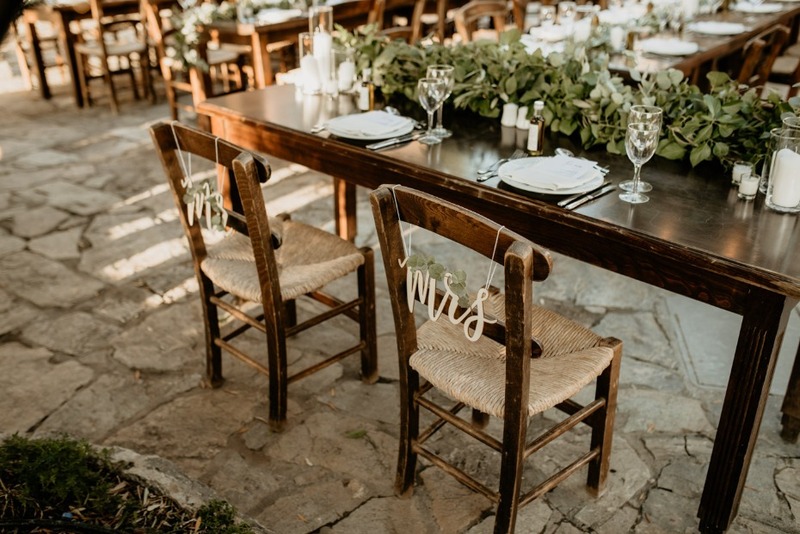 Our fave detail? 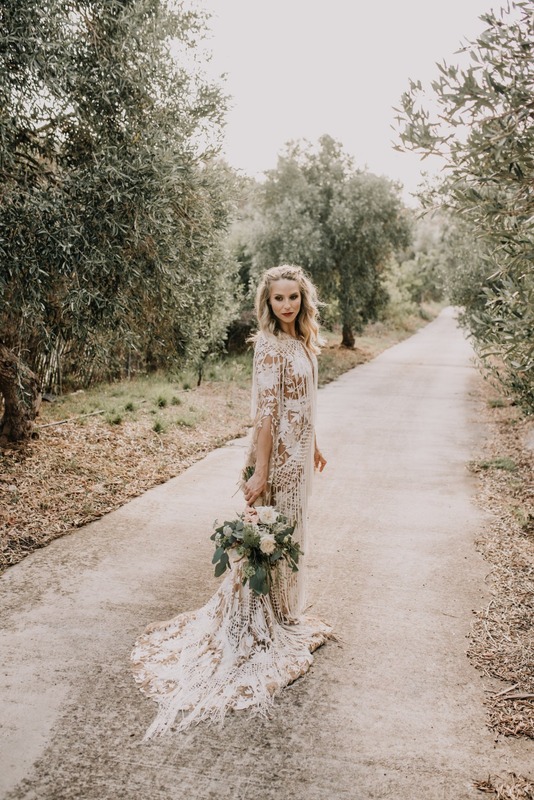 The brides stunning Rue De Seine wedding gown that's fit for a boho queen. 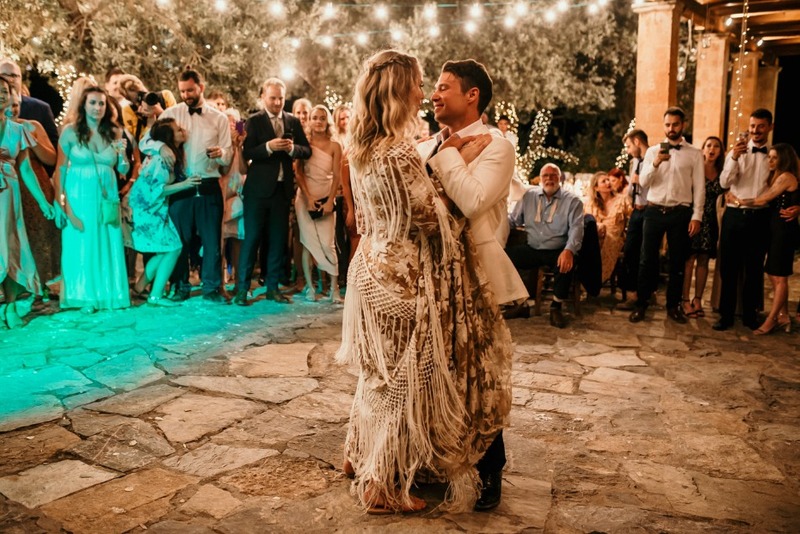 With all that fringey detail, we wish we could dance all night in it! 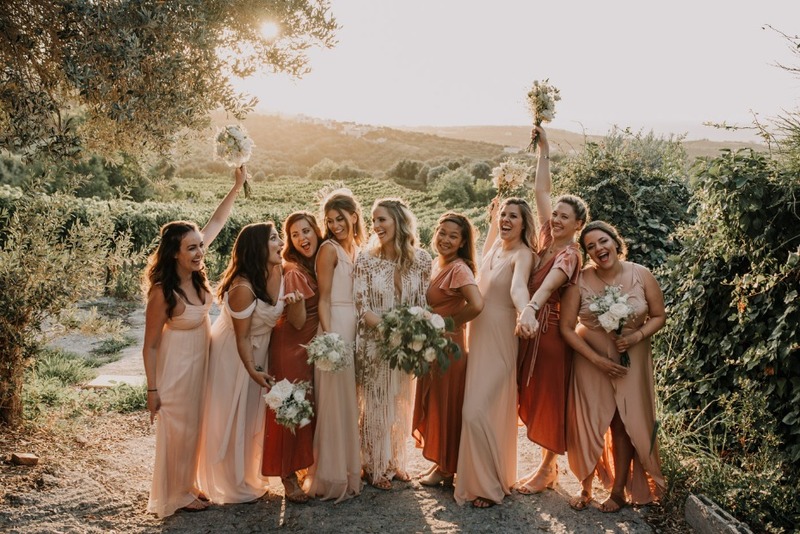 And how about those mismatched bridesmaid dresses in velvet? 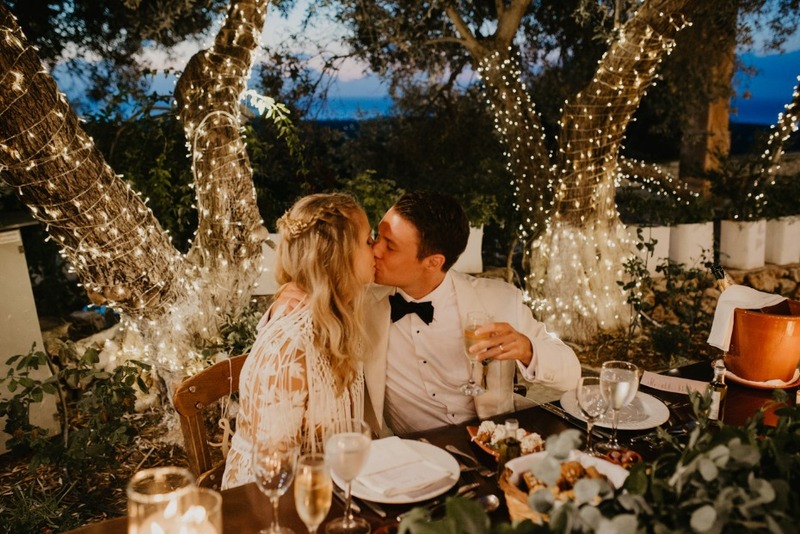 Loveeee! 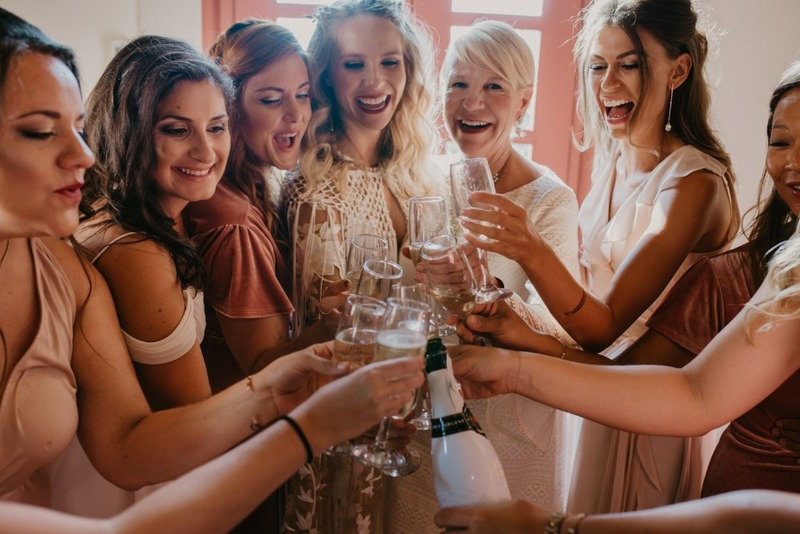 This is one stylish day you can’t miss. 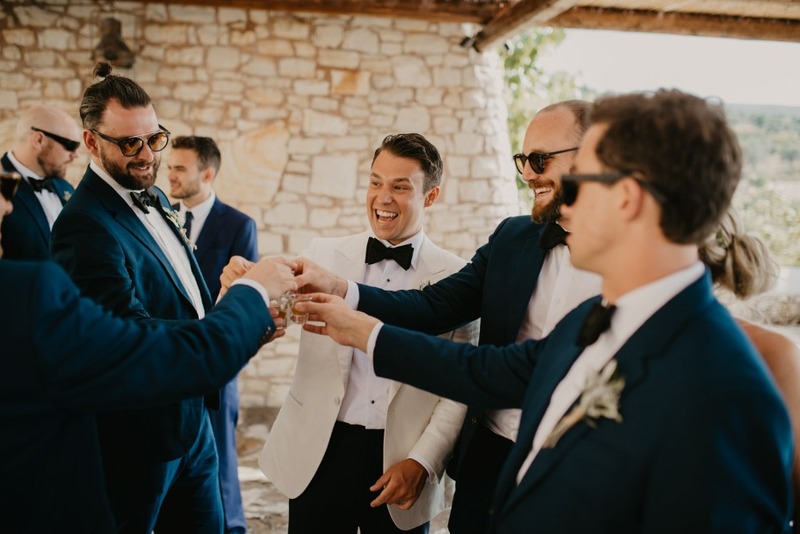 Check out all the highlights below and grab a closer look from Paulina Weddings in the full gallery. 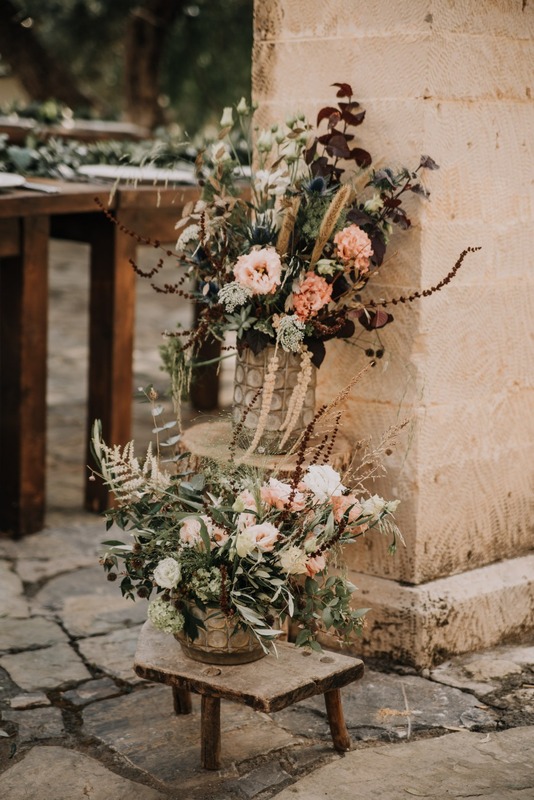 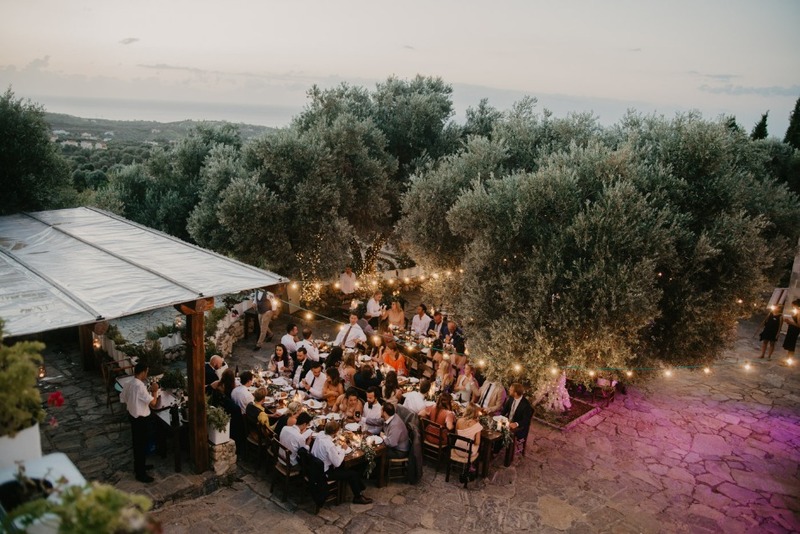 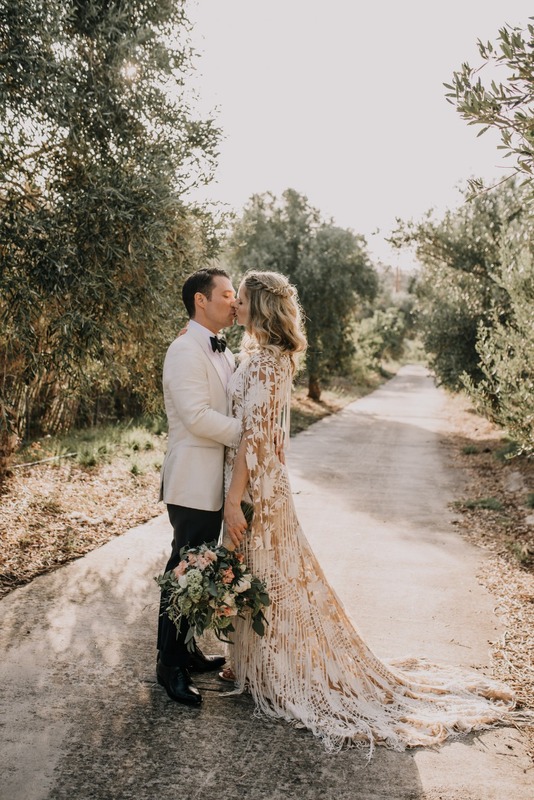 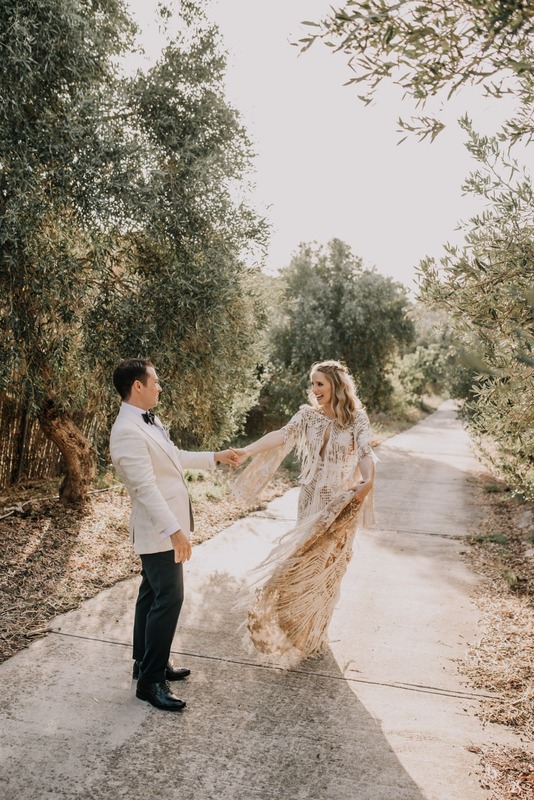 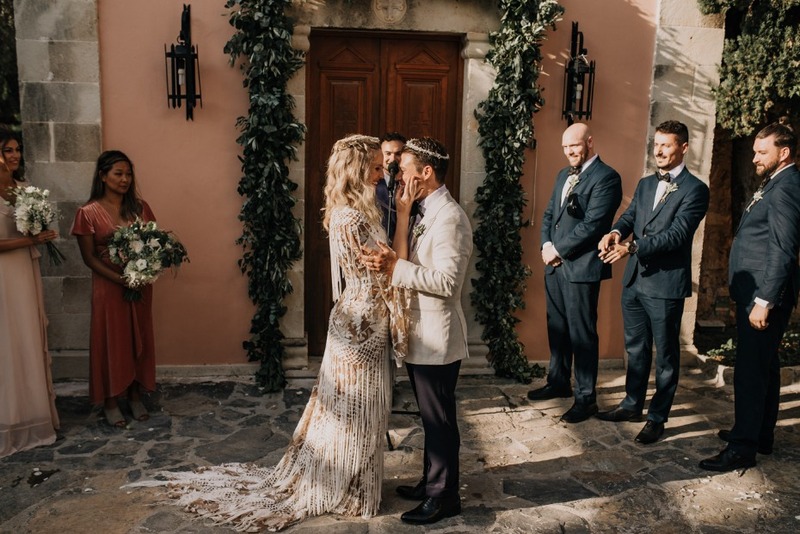 From Paulina Weddings: Alyssa and Aleco’s passion for nature & all things rustic was the focal point of their gorgeous traditional estate wedding in Crete. 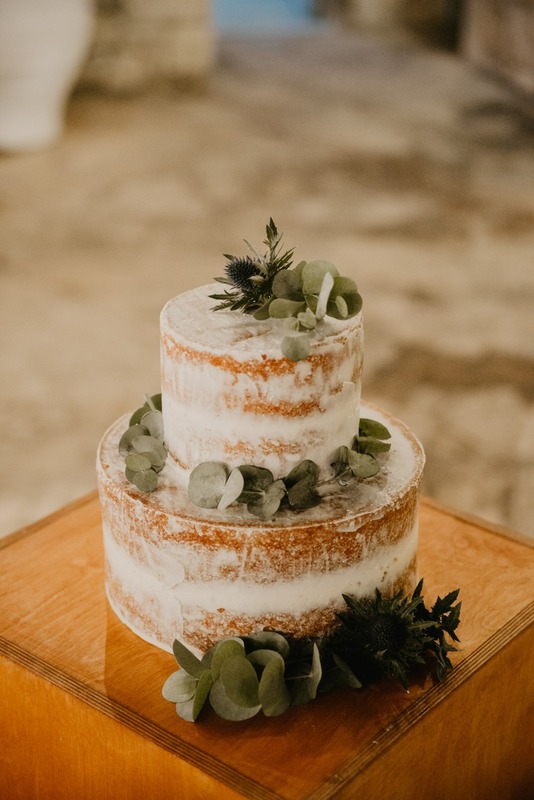 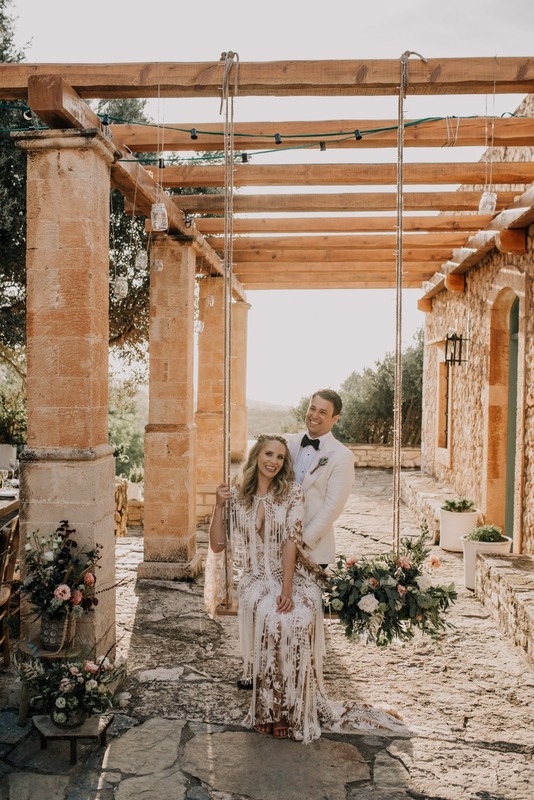 The happy couple opted for a rustic chic theme for their outdoor wedding ceremony & reception in a truly idyllic setting offering a breath-taking panorama of the estate’s rolling grounds & vineyards, as well as spectacular sea & mountain views for as far as the eye can see. 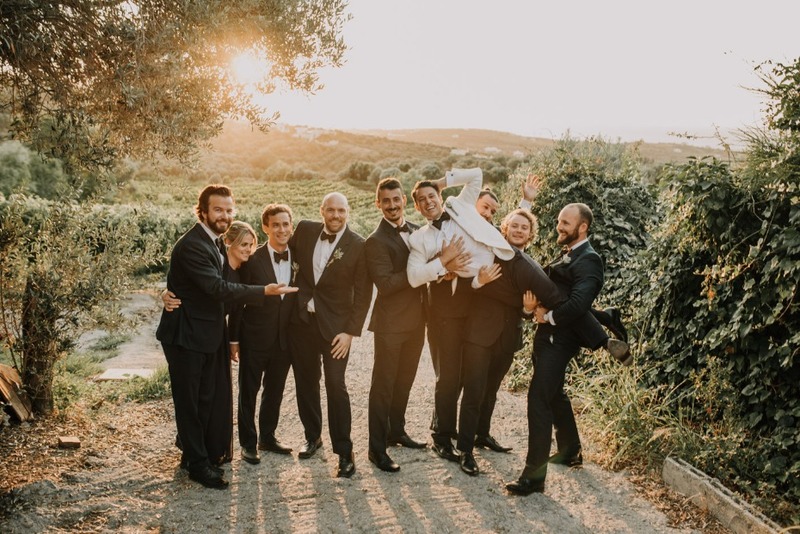 Against a backdrop of nature at its very best, Alyssa & Aleco enjoyed every precious moment of their dream wedding supported by their 8 stunning bridesmaids, 7 handsome groomsmen & lovely groomslady. 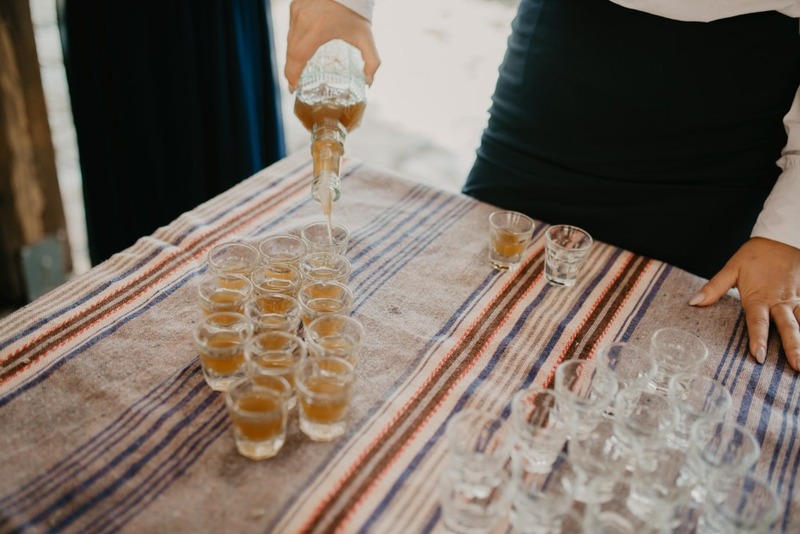 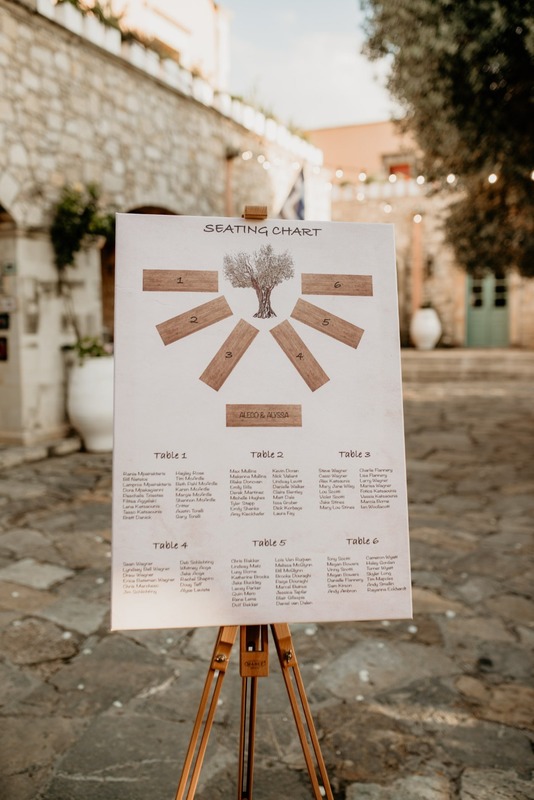 Starting with a welcoming pre-wedding drinks reception to set the mood for the coming celebrations, there was also a cool Greek coffee stand & a Cretan herbs stand, introducing the guests to some popular traditional products. 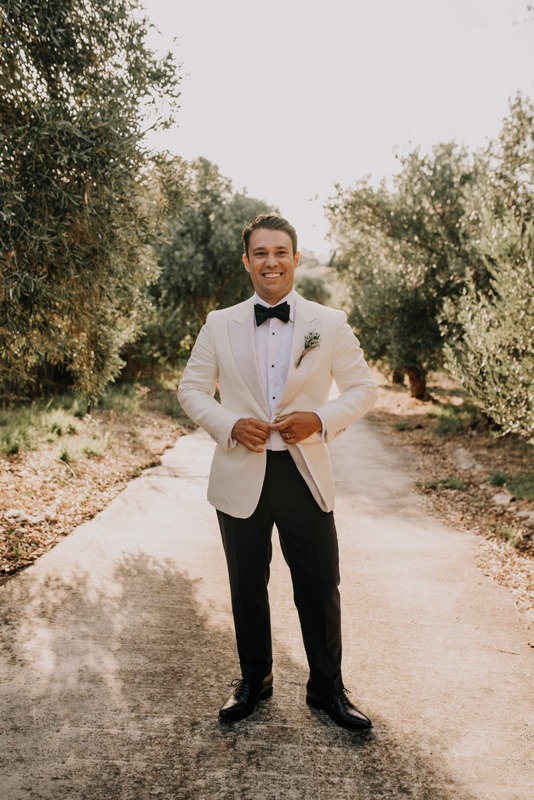 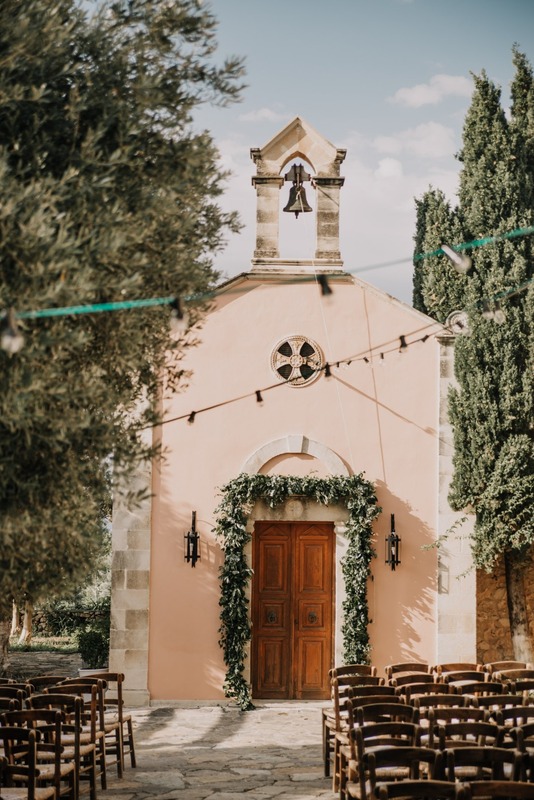 The romantic wedding ceremony then took place outside the estate’s charming chapel, which was decorated with a fresh garland of olive leaves, eucalyptus, and ivy. 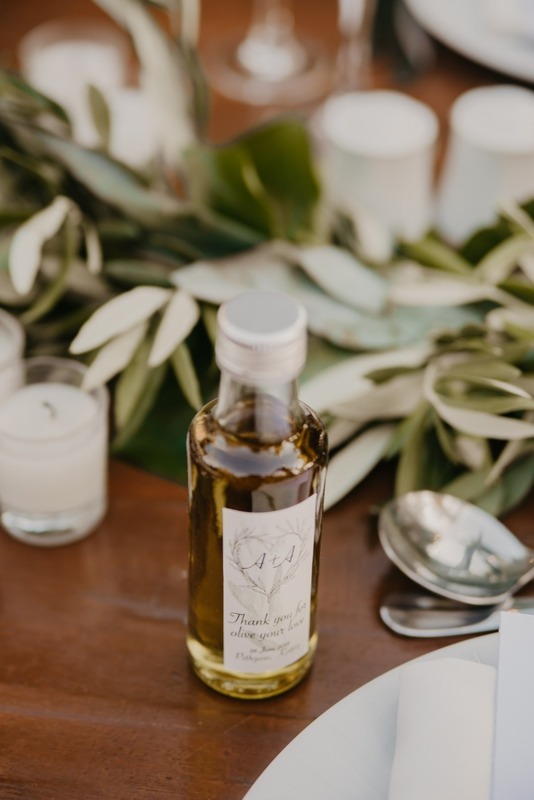 Olive leaf “Stefana” or wedding crowns, were also incorporated into the ceremony in harmony with the groom’s Greek heritage. 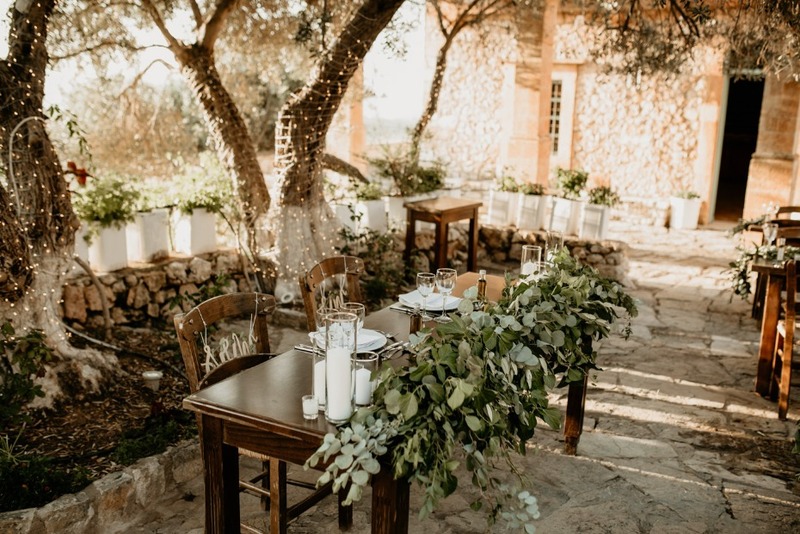 With the reception tables arranged under the shady olive trees in the estate’s picturesque courtyard, which was decorated with glittering fairy lights & hanging tea lights in mason jars, each guest was welcomed with a meaningful wedding favour at their place setting; a miniature bottle of authentic Cretan olive oil as a token of the happy couple’s appreciation for them being there to share in their joyful day. 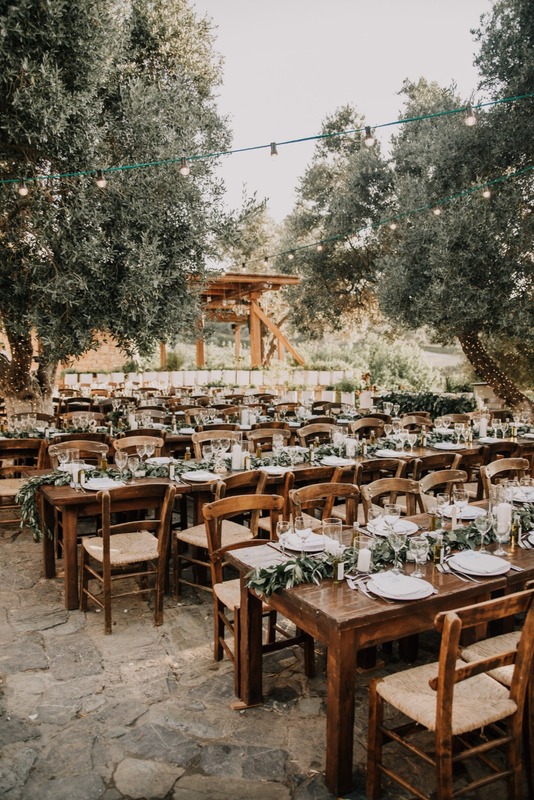 Each table was tastefully decorated with lush garlands matching that of the chapel’s foliage, adding a fresh natural touch. 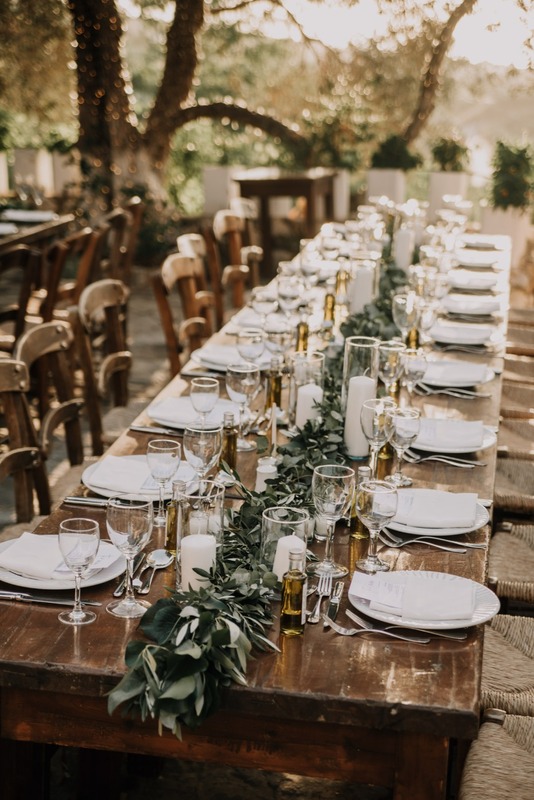 A delicious wedding dinner, handpicked by the couple & including traditional ingredients produced at the estate itself, was then served. 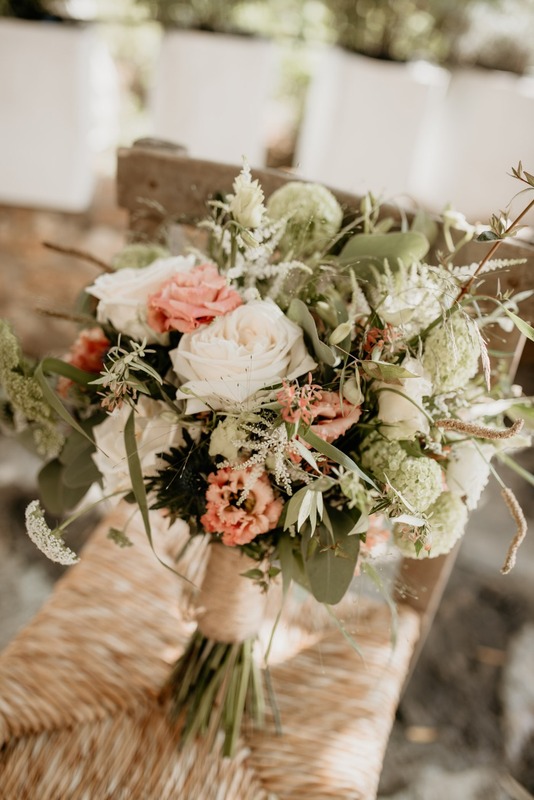 Their choice of flowers, to complement the wedding theme’s colours, featured a stunning loose-style bridal bouquet which included beautiful white roses, Dendrobium Orchids & Lysianthus Alissa in pretty apricot. 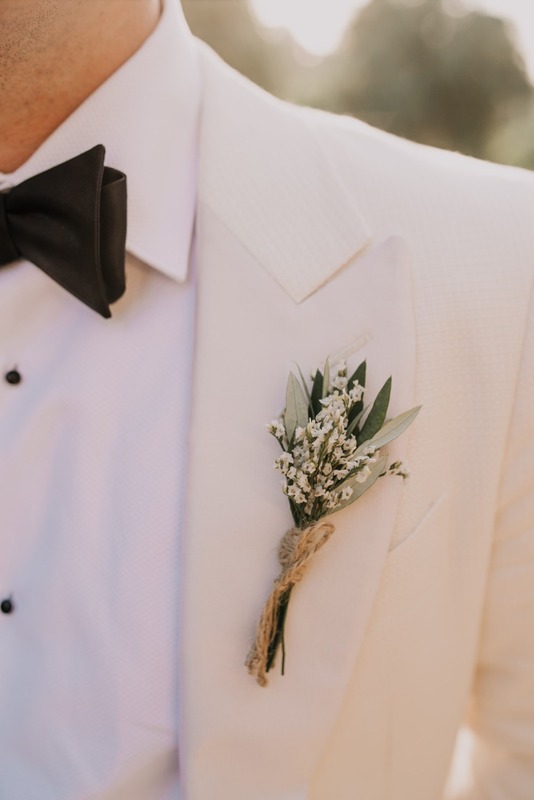 White Limonium & sprigs of olive leaves made up the bridegroom & groomsmen’s buttonholes and for the bridesmaids, in keeping with the rustic concept, there were delightful white & green posies including Lysianthus Alissa in white & classic garden roses. 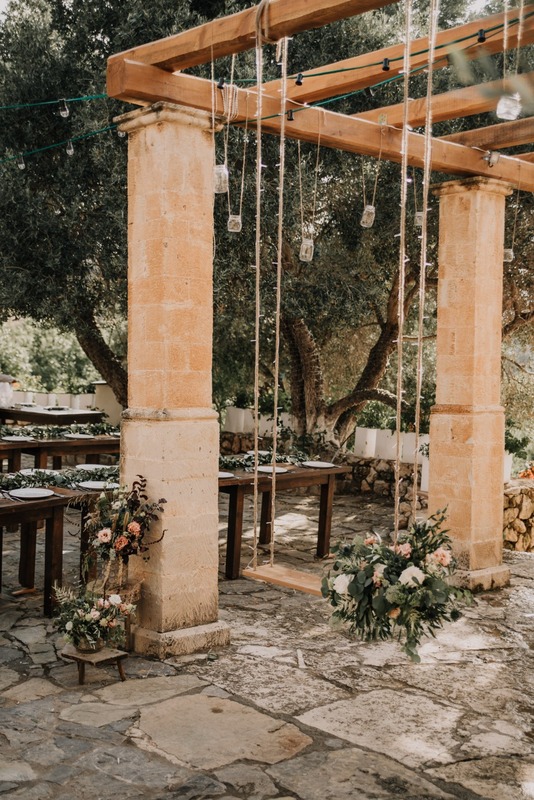 An awesome wooden swing, suspended from one of the olive tree branches and decorated with beautiful flowers matching the rest of the wedding’s floral arrangements, created an amazing photo booth setting with fabulous photo opportunities; both romantic & fun. 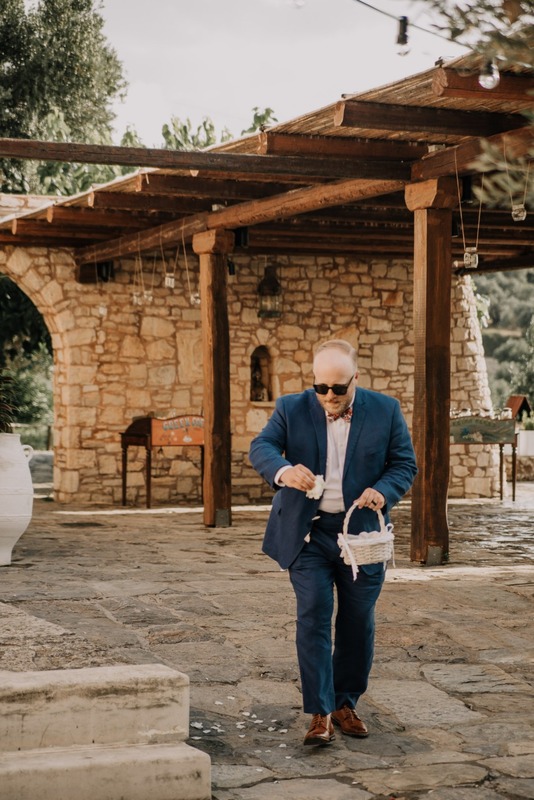 Be sure to watch the entire video from Nikos Terliamis.